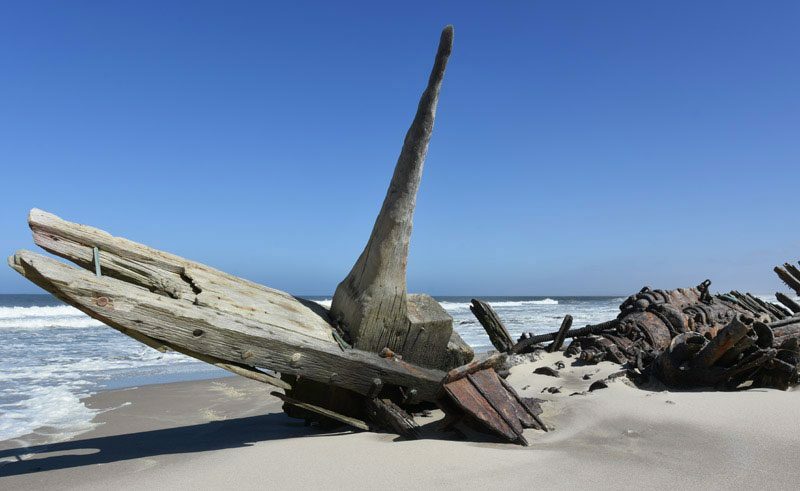 A visit to Swakopmund and the Skeleton Coast provides the opportunity to explore Namibia’s fascinating coastline. Sometimes foreboding and windswept, this area affords superb possibilities to encounter rich marine life, desert adapted wildlife as well as remarkable desert scenery. For those who want to get off the beaten track, the Skeleton Coast is the most remote part of Namibia where you will encounter few other visitors and experience some of Namibia’s most dramatic landscapes. Swakopmund is a German colonial town located on the Atlantic coast and encompassed by the Namib Desert. This is Namibia’s most popular seaside town and the beaches are pleasant; however the water is normally too cold for swimming. It is a pleasant town to wander around and take in the German architecture and colonial history. It is also renowned for its excellent seafood. There are several excellent activity options available from the town, taking advantage of either the marine wildlife or the surrounding desert. 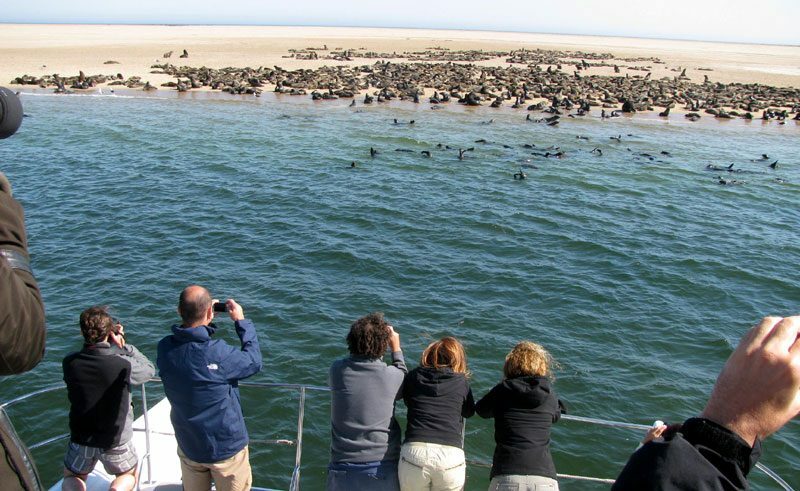 Kayaking is a fantastic way to experience the marine wildlife up close and personal including Cape fur seals in their thousands, bottlenose and Heaviside’s dolphins, pelicans and flamingos. If you are lucky, you may also spot whales, leatherback turtles and sunfish. Explore the Namib Desert by 4WD or by fat bike and uncover hidden life under the sand, or take a self-drive in search of some of the country’s oldest welwitschia plants. Walvis Bay Lagoon is the most important wetland in Southern Africa, with 170,000 resident birds around the lagoon and some 200,000 more stopping off on migratory routes. 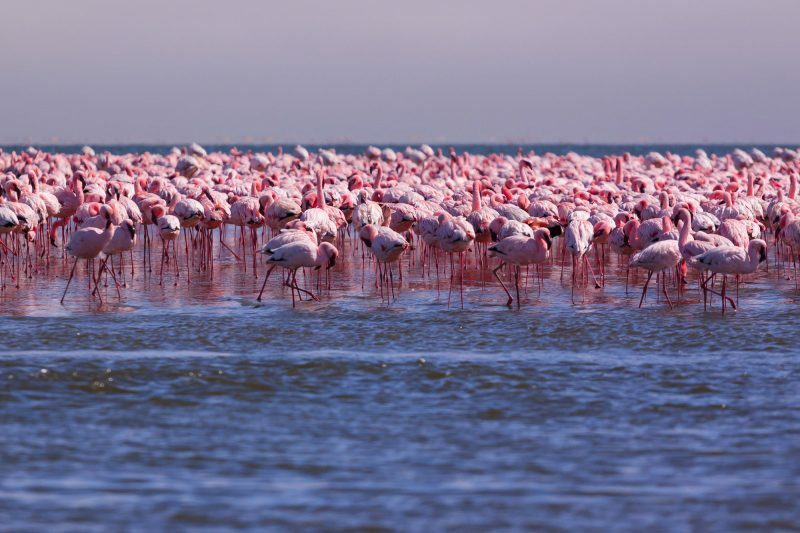 The lagoon is the feeding site for around 80% of all the lesser flamingos found in Southern Africa and about 50% of greater flamingos. It also attracts large numbers of chestnut plovers, pelicans, Caspian, Damara, and swift terns, white-fronted plovers and Hartlaub’s gulls. The Bushmen called it ‘The Land God Made in Anger’ and the Portuguese knew it as ‘The Gates of Hell’ so there’s no doubt the Skeleton Coast can be a foreboding place! It got its official name because of the swirling fogs and treacherous currents that claimed many ships in the past, littering the coast with skeletal shipwrecks. The Skeleton Coast forms about one third of Namibia’s coastline and Namibia has declared 16,000 square kilometres of the region as a national park, with the northern half of the park a designated wilderness reserve. The area is largely inaccessible unless by air, either flying in to one of the few wilderness lodges or taking a scenic flight – a real highlight of any trip to Namibia. The landscape is the main draw, comprising vast dune fields, wind-swept beaches, remote desert oases and the remnants of shipwrecks, but you may also witness wildlife in the area including desert adapted elephant, giraffe, black rhino, lion and seals. This charming boutique hotel, located in the heart of Swakopmund, is over 100 years old and used to be a colonial villa. Situated on the beach, Beach Lodge displays magnificent sea views. Located approximately five kilometres from the centre of Swakopmund, this lodge provides a relaxed, peaceful atmosphere. This family-owned and managed guesthouse is situated five minutes walk from the beach and main shopping area. The service here is friendly and the management are very amenable to guest requests. Namib Guesthouse is conveniently located in the centre of Swakopmund, 10 minutes stroll from restaurants and shops and 15 minutes from the beach. This unique characterful accommodation features cabins built on stilts boasting spectacular views of Atlantic Ocean, the sand dunes of the Namib Desert or the lagoon with its rich birdlife. Located in the heart of historical Swakopmund, this comfortable guesthouse is ten minutes walk to the beach. Designed around the relics of the Skeleton Coast's famous shipwrecks, this remote lodge opened in June 2018 and is a unique opportunity to explore one of Namibia's most wild and remote regions. This characterful modern hotel is one of the newest hotels in town, opening its doors late 2015. Centrally located and housed in a classical building dating from 1905, the Hansa Hotel forms part of Swakopmund’s architectural heritage and offers excellent service.